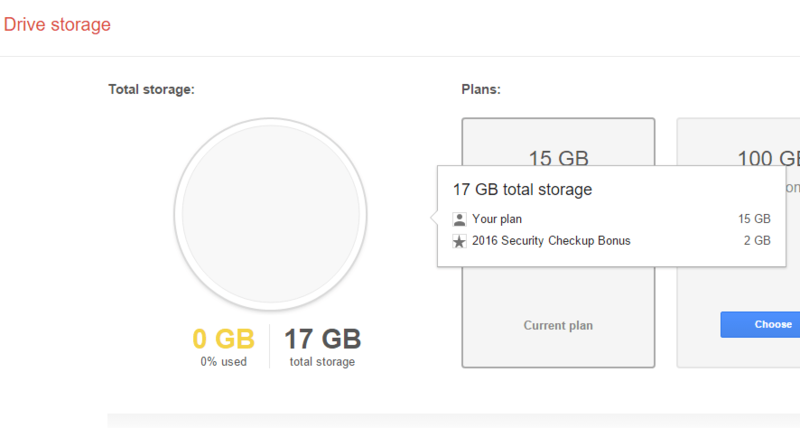 Google is offering free storage for completing a small task associated to your account. Can you guess what the task will be? To increase the security of your Google account by updating your current details. Last year, Google gave 1 TB of free storage to the users who helped in improving the Google Maps and location services. This year you can get 2GB Free Google Drive storage. Well there is nothing suspicious about this offer as Google wants it’s Users to simply have a glance towards their account security option to check if everything is fine. 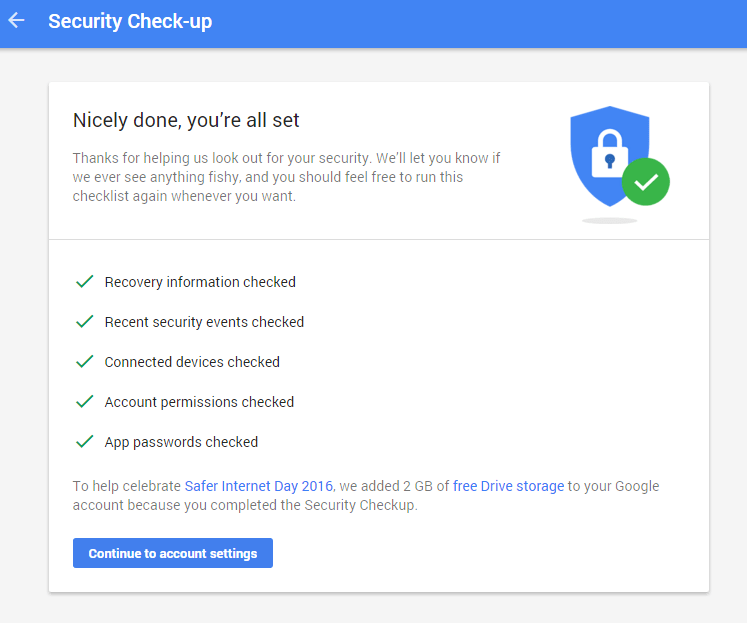 Google is celebrating the Safer Internet Day 2016, and hence it is offering some free storage in exchange for upgraded security. How do I get 2GB Free Google Drive Storage? Well, first head on to the Security settings page of your Google Account. You need to sign in using your Google Account. After that complete the various steps like Recovery option, recent security events, 2 step verification, Connected devices, Account permission, App Password. While you are at it, perform the steps sincerely and give it some time to review all the options. Next you will see a Confirmation message of free 2GB storage added in your Google Drive account. Do look out for such offers that involves some work and big rewards from Google. You can perform the above steps for your multiple account and do note that this offer is valid only for today i.e. 10th Feb 2016 (Tuesday). So share it with your Friends and Family members. This offer is like getting free petrol for wearing helmet or putting on seat belt while you drive. You get rewarded for improving your own account security. Never forget how Google account plays an important part in your life as almost everything is connected to it. Do let us know if you face any difficulties executing this method through the comment section below.